Main purpose of this report is to analysis Investment and General Banking of Islami Bank Bangladesh Limited. Other objectives are to analysis different mode of Investment and different Investment scheme of IBBL. Report also focus on Foreign exchange. Report briefly discuss on general performance of the bank and analysis on overall banking function of IBBL. Finally draw SWOT analysis and suggest recommendation. Basically IBBL is an Islamic Bank based on “Islamic Shariah”. It follows the alternative concept of Islamic Banking which represents unique human approach to credit and banking based on profit- oriented economy devoid of interest. In this regard IBBL has introduced a number of income generating programs for the millions of urban and rural poor people. With the objective in view IBBL has formulated a profitable investment option for the rich to invest and for the poor a credit program to earn and live in a better society with greater security and peace. IBBL is operating in a three-sector banking system. Such as Formal, Non-formal and Voluntary sector. General Banking, Investment and Foreign Exchange are operated under the formal sector. Development and management of waqf and mosque properties, management and inheritance properties and joint venture for management of non-profit foundations, and charitable trusts and organizations are executed under the Voluntary Sector. Internship functions have been performed in three departments (General Banking, Investment and foreign Exchange). Among the three departments of the bank more emphasize has been given to General Banking activities in order to prepare this report. Basically report’s findings is cover three major areas, – “An Analysis of General Banking and Investment of Islami Bank Bangladesh Limited.-Special Focus on Paltan Branch.” General Banking provides the foundation of banker customer relationship through opening account. This is the busiest department and the daily transaction of concerned to the customers for drawing of depository money, selling of instruments to them for remittance purpose, collection of their instruments providing other ancillary services to them and keep customer section busy. Other functions like- offering various types of account, remittance, clearing, cash section function. By these deposits IBBL provides many services to manage the need on customers. In the case of import-export section IBBL shows better performance than other banks. The import and export business of IBBL has a gradual- increasing tend from 1983. But in order to capture higher market share than the competitors, the policy of IBBL in this regard should be more flexible and competitive than the present. IBBL is performing well in terms of acquired assets and human resources of higher quality. IBBL will be more effective in our economy by adopting modern financial technology and extending their activities in human and social welfare. 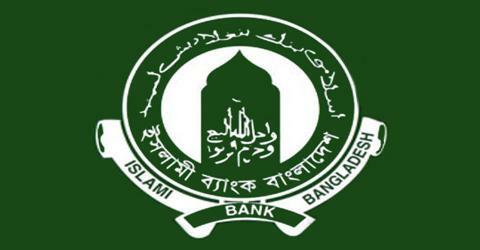 Different types of General Banking of Islamic Bank Bangladesh Limited (IBBL). Different mode of Investment of Islami Bank Bangladesh Limited (IBBL). Different Investment scheme of IBBL. To study the general performance of the bank. To gather comprehensive knowledge on overall banking function of IBBL. The report has been prepared based on secondary data such as: the published IBBL annual report, visiting the IBBL website and various publications. Some sort of primary data was also collected from the supervisor and branch employees of IBBL. Website of Islami Bank Bangladesh Ltd.
Hand out on training from IBTRA. To collect data, we mainly discuss with the associate officers of IBBL in investment and general Banking sector. The definition of “Islamic Banking” and prove whether its activities are unequal to the conventional banking system & satisfy the principle of Islamic Shari’ah. Definition given by ‘OIC’ is- “An Islami bank is financial institution whose statutes, rules and regulations expressly state its commitment to the principle of Islamic shra’ah and to the banning of the receipt and payment of interest on any of its operation”. This definition indicates that IBBL is more convenient and acceptable to the Muslim mankind. Islamic Bank is committed to conduct all kinds of banking activities on the basis of profit-loss sharing system. The objective of the Islamic Shari’ah is to promote the welfare of the people which lies in safeguarding their faith, their life, their intellect, their posterity and their wealth. The basis of this Shari’ah is wisdom and welfare of the people in this world as well as the hereafter, which lies in complete justice, mercy, well-being and wisdom. Establishing participatory banking instead of banking on debtor- creditor relationship. Investing through different modes permitted under Islamic Shariah. Establishing welfare oriented banking system. Playing a pivotal role in human development and employment generation. The traditional capitalist banking system depends on interest. It receives interest for providing loans and pays interest for taking loans. The spread between these two interests is the source of its profit. But according to Islamic Shariah all types of interest is banned. So, Islamic bank does not carry on business of interest and it completely avoids the transaction of interest. After departing from interest, the alternate ways of income for Islamic bank is investment and profit. Thus IBBL gives up any transaction of interest and makes investments based on profit. Bank distributes its profit to its depositors and shareholders. Islamic Shariah has banned the business of haram goods. For example, Islam not only forbids the drinking of alcohol but also banned any business of alcohol. Therefore, Islamic bank does not get any haram business and only do halal business. To establish Islamic banking through the introduction of a welfare oriented banking system and also ensure equity and justice in the field of all economic activities, achieve balanced growth and equitable development through diversified investment operations particularly in the priority sectors and less developed areas of the country. To encourage socio-economic enlistment and financial services to the low-income community particularly in the rural area. My vision is to always strive to achieve superior financial performance, be considered a leading Islamic bank by reputation and performance. My goal is to establish and maintain the modern banking techniques, to ensure soundness and development of the financial system based on Islamic principles and to become the strong and efficient organization with highly motivated professionals, working for the benefit of people, based upon accountability, transparency and integrity in order to ensure stability of financial systems. I will try to encourage savings in the form of direct investment. I will also try to encourage investment particularly in projects, which are more likely to lead to higher employment. It is a financial institution. It is a business institution. It operates its business activities free from interest. It is run according to rules and regulation formed and amended by Shariah council. It is profit-loss shearing business organization. It provide loan as Quard Hasana for social welfare. It gives Zakat on its capital according to Islamic Shariah. It leads all of its transaction according to Islamic law. To maintain all types of deposit accounts. To conduct foreign exchange business. To extend other banking services. To conduct social welfare activities through Islami Bank Foundation. Investment is the action of deploying funds with the intention and expectation that they will earn a positive return for the owner. Funds may be invested in either real assets or financial assets. When resources are used for purchasing fixed and current assets in a production process or for a trading purpose, then it can be termed as real investment. IBBL, Elephant Road Branch operates its investment through mode wise, sector wise and scheme wise. The author has done her internship program in Islami Bank Bangladesh Ltd. at Elephant road Branch. This is a branch of one of the leading commercial private banks in our country. This bank was established in 14th November 2000 based on Islamic sahriah. There are 33 employees. Their vision is strived to achieve superior financial performance and be considered a leading Islamic bank by reputation and performance. This bank internship program duration was for total 60 days that means 45 working days. It was designed by Islami Bank Training and Research Academy (IBTRA). First 15 days she had done theoretical class in IBTRA. Then IBTRA transferred me the Elephant Road branch for gather some practical experience and knowledge with 45 days about Islamic banking and financial system. O, T.D.R, M.S.B, M.S.S, Haji Section& D.D, T.T section. One of the significant and revolutionary developments in the banking area of the world during last four decades is the emergence and extra ordinary development of Islamic banking in different countries of the world which has drawn the attention of the scholars and general public of the Muslim and non-muslim countries including the world bodies like international monetary fund,world bank etc. The special feature of the investment policy of islami banks is to invest on the basis of profit loss sharing system in accordance with the tents and principles of islami shariah. Earning is the not only motives & objectives of the Islami Bank Bangladesh Bank’s investment policy rather emphasis is given in attaining social good and in creating employment opportunities. The terms “Bai-Murabaha” have been derived from Arabic words and (Bai and Ribhun). Te word means purchase and sale and the word “Ribhun” means an agreed upon profit “Bai-Murabaha” means sale for on agreed upon profit. “Bai-Murabaha” may be defined as a contract between a buyer and a seller under which the seller sells certain specific goods permissible under Islamic Shariah and the Law of the land to the buyer at a cost plus an agreed profit payable today or on same date in the future in lump-sum or by installment. The profit may be either a fixed sum or based on a percentage of the price of the good. This transaction involves three parties the buyer, the seller and Bank. Under this arrangement the bank acts as an intermediary trader between the buyer and seller. In other words, upon receipt of an order and arrangement to purchase product from the buyer, the bank will purchase the product from the seller to fulfill the order. A client can make an offer to purchase particular goods from the bank for a specific agreed upon price, including the cost of the goods plus a profit. A client make the promise to purchase from the bank that is he is to either satisfy the promise or to indemnity any losses incurred from the breaking the promise without excuse. Documentation of the debt resulting from Bai-Murabaha by a guarantor or a mortgage or both like other bent is permissible. Mortgage/ Guarantee/ Cash security may be obtained prior to the signing of the agreement or at the time singing the agreement. Upon acquiring the goods the bank assumes the risk of ownership. In other words the bank is responsible for damage, defects, and/ or spoilage to the merchandise until such time that it is actually delivered to the buyer. Stock and availability of goods is a basic condition for signing a Bai-Murabaha Agreement. Therefore, the bank must purchase the goods as per specification of the Client to acquire ownership of the same before signing the Bai-Murabaha agreement with the Client. After purchase of goods the Bank must bear the risk of goods until those are actually sold and delivered to the Client buyer, the Bank shall bear the consequences of any damages or defects, unless there is an agreement with the Client releasing the Bank of the defects, that means, if the goods are damaged, Bank is liable, if the goods are defective, (a defect that is not included in the release) the Bank bears the responsibility. The bank must deliver the specified to the Client on specified date and at specified place of delivery as per Contract. The Bank shall sell the goods at a higher price (Cost + Profit) to earn profit. The cost of goods sold and profit mark-up therewith shall separately and clearly be mentioned in the Bai-Murabaha Agreement. The profit mark-up may be mentioned in lump sum or in percentage of the purchase/cost price of the goods. But, under no circumstances, the percentage of the profit shall have any relation with time or expressed in relation with time, such as month, per annum etc. The price once fixed as per agreement and deferred cannot be further increased. It is permissible for the Bank to authorize any third party to buy and receive the goods on Bank’s behalf. The authorized must be in a separate contract. Murabaha is the most frequently used form of finance in Islamic banking throughout the world. It is suitable for financing the different investment activities of customers with regard to the manufacturing of finished goods, procurement of raw materials, machinery, and other required plant and equipment purchases. The terms “Bai” and “Muajjal” are derived from the Arabic words ‘Bai’ and ‘Ajal’. The word ‘Bai’ means purchase and sale and the word ‘Ajal’ means a fixed time or a fixed period. “Bai-Muajjal” is a sale for which payment is made at a future fixed date or within a fixed period. In short, it is a sale on credit. The Bai-Muajjal may be defined as a contract between a buyer and a seller under which the seller sells certain specific goods, permissible under Shariah and law of the country, to the buyer at an agreed fixed price payable at a certain fixed future date in lump sum or in fixed installments. The term “Bai” means sales and purchase and “Salam” means advance.”Bai-Salam” means advance sales and purchase. Bai-Salam may be defined as a contract between a buyer and a seller under which the seller sells in advance in the certain commodity (ies)/ products (s) permissible under Islamic Shariah and the law of the land to the buyer at a agreed price payable on execution of the said contract and the commodity (ies)/ products (s) to the buyer at a future time in exchange of an advance price fully paid on the spot. Salam sales are frequently used to finance the agricultural industry. Banks advance cash to farmers today for delivery of the crop during the harvest season. Thus banks provide farmers with the capital necessary to finance the cost of producing a crop. Salam sale are also used to finance commercial and industrial activities. Once again the bank advances cash to businesses necessary to finance the cost of production, operations and expenses in exchange for future delivery of the end product. The word Istisna’a has been derived from the word “sana” which means Industry. Istisna’a means to purchase specific products by placing order to a manufacturer or to sale specific products after having the same manufactured against order of a buyer. Intishna’a sale is a contract in which the price is paid in advance at the time of the contract and the object of sale is manufactured and delivered later. The majority of the jurist considered Intishna’a as one of the divisions of Salam; therefore, it is subsumed under the definition of Salam. It is a condition in the Istisna’a contract to clearly define dimensions and specifications of the product being purchased. This is important to ensure that there is no room for dispute over what is required. The Istisna’a contract is only used for objects that can be manufactured. It can not be used to purchase corn, wheat, barley, fruit or any natural product. The object sold in an Istisna’a contract is a fixed liability debt and it is permissible for the object to be a custom manufactured product, made in accordance with certain specifications. The maker should supply the materials. If they are supplied by the buyer, the contract is Ijara and not Istisna’a. Once the contract is drawn the ownership of the asset is confirmed to the buyer and the purchase price is confirmed to the manufacturer. It is not a condition in the Istisna’a contract to advance the price. Usually part of the price is paid in advance and the remainder is withheld until the time of delivery. It is a condition that the time of delivery be specified in the agreement to avoid confusion that may lead to a dispute over the transaction. It is a condition that the place of delivery be stated in the contract if the commodity requires special handling and delivering arrangements. The buyer may stipulate in the Istisna’a contract that the commodity shall be manufactured or produced by a specific manufacturer, or manufactured with specific materials. This is not permitted in a case of Salam Sale. The Istisna’a contract allows Islamic banks to finance the public needs and the vital interests of the society to develop the Islamic economy in accordance with Islamic teachings. Finally, the Istisna’a contract is also applied in the construction industry such as apartment buildings, hospitals, schools, and universities to whatever that makes the network for modern life. The word “Quard” is an Arabic word” which means loan or credit on advance. The literal meaning of Quard is giving “Fungible goods” for use without any extra value returning those goods. It must follow the principle of equal for equal return with homogeneous goods. Fungible goods may be rice, oil, salt, money etc. In banking sector, money is used as quard. Quard is HaIaI by Islam for not to pay any extra or interest in return. Goods which are vanished /converted for one time use. Service can’t be separated from the actual goods. There should have fungible goods. Goods must be returned equally. There is no extra payment. To specific period for returning goods. Quard-E-Hasana is also one kind of Quard which is given with the expectation of return or not. The term Mudaraba come from Arabic word “Travel” means for undertaking business. It is a form of partnership where one party provides the funds while the other provides the expertise and management. The first party is called the Sahib-Al-Maal and the latter is referred to as the Mudarib. Any profits accrued are shared between the two parties on a pre-agreed basis, while capital loss is exclusively borne by the partner providing the capital. Bank supplies capital as Sahib-Al-Mall and the client invest if in the business with his experience. Administration and management is maintained by the client.Profit is divided as per management. Bank bears the actual loss alone. Client can not take another investment for that specific business without the permission of the Bank. It’s An Islamic financial technique that involves different types of profit and loss sharing partnership. Share both in the capital and management of a project so that profits will be distributed among them as per rations, where loss is shared according to ratios of their equity participation. In this case both the bank and the client provide capital at an agreed upon ratio and manage the business jointly. Share the cent as per agreed upon ratio and bear the loss, If any, in proportion to their respective equity. Bank may move itself with the selected client for conducting any shariah permissible business under Musharaka mode. The investment client will normally run and manage the business. The Bank shall take part in the policy and decision making as well as overseeing (supervision and monitoring) the operations of the business of the client. The Bank may appoint suitable person(s) to manage the business and to maintain books of accounts of the business property. As the investment client shall manage the enterprise, the Bank may pay more share of profit to him than that of his proportionate capital contribution. Financing through a Musharaka partnership is investment-based. The capital provider has full control in the management of the business. In addition, he shares proportionately in both the profits and losses of the business. Therefore, the rate of return is uncertain and can be either positive or negative. The cost of capital is also uncertain and there exists perfect correlation between the relationship of cost of capital and rate of return on capital. Under this mode the Bank may supply implements/equipments/goods on rental basis. The ownership of the implements/equipments/goods will be with the Bank and the client jointly and the portion of the client will remain to the Bank as mortgage until the closer of the investment account, but the client will be authorized to possess the equipment for certain period. The client, after completion of the installment, will be the owner of the implements/equipments/goods. Sirkatul means partnership. Sirkatul Meelk means share in ownership. When two or more person supply equity, purchase an asset, own the same jointly, and share the benefits as per agreement and bear the loss in proportion to their respective equity, the contract is called Sirkatul Meelk contract. The term Ijarah has been divided from the Arabic word (Air) and (Ujrat) which means consideration, return, and wages, rent. This is really the exchange value or consideration, return, wage, rent of service of an ASSET. Ijarah has been defining as a contract between two parties, the Hire and Hire where the Hire enjoys or reaps a specific service or benefit against a specified consideration or rent from the asset owned by the Hire. It is Hire agreement under which a certain asset is hired out by the Hire to a Hirer against fixed rent or rentals for a specified period. In case of Hire Purchase under Sirkatul Meelk transaction the asset/property involved is jointly purchase by the Hire (Bank) and the Hirer (Client) with specified equity participation under a Sirkatul Meelk Contract in which the amount of equity and shear in ownership of the asset of each partner (Hire Bank & Hire Client) are clearly mentioned. Under this agreement, the Hire & the Hirer becomes co-owner of the asset under transaction in proportion to their respective equity participation. In Hire purchase under Sirkatul Meelk Agreement, the exact ownership of both the Hire (Bank) and the Hirer (Client) must be recognized. However, if the partner agree and wish that the asset purchase may be registered in the name of any one of them or in the name of any third party, clearly mentioning the same in the Hire Purchase under Sirkatul Meelk Agreement. However, in IBBL, no third party registration shall be allowed. The share/party of the purchased asset owned by the hire (Bank) is put at the disposal/possession of the Hire (Client) keeping the ownership with him (Bank) for a fixed period under a hire agreement in which the amount of rent per unit of time and the benefit for which rent to be paid along with all other agreed upon stipulations are also to be clearly stated. Under this agreement, the Hire (Client) becomes the owner of the benefit of the asset but not all the asset itself, in accordance with the specific provisions of the contract which entitles the Hire (Bank) is entitled for the rentals. In the Hire purchase under Sirkatul Meelk Agreement the Hire (Bank) does not sell or the Hirer (Client) does not purchase the asset but the Hirer (Client) pays the price/equity/agreed price as fixed for the asset as per stipulation within agreed upon period on which the Hirer also gives undertakings. The promise to transfer legal title by the Hirer and undertakings given by the Hirer to purchase ownership of the hire asset upon payment part by part as per stipulations are effected only when it is actually done by a separate sale contract. As soon as any part of Hire’s (Bank’s) ownership of the asset is transferred to the Hirer (Client) that becomes the property of the Hirer and hire contract for the share/ part and entitlement for rent there of lapses. In Hire Purchase under Sirkatul Meelk Agreement, the Sirkatul Meelk contract is affected from the day the equity of both parties deposited and the asset is purchased and continues up to the day on which the full title of Hire’s (Bank’s) is transferred to the Hirer (Client). The hire contract becomes effective from the day which the Hirer transferred the possession of the hire asset is good order and usable condition to the Hirer, so that the Hirer may make use of the same as per provision of the agreement. Under this agreement the Bank act of the partner, as a Hire and at lest as a seller; on the other hand the client acts as partners, as a Hirer and lastly as a purchaser. Ownership risk is borne by both the Hire and Hirer in proportion to their retained ownership/equity. Under this agreement the role of Hirer is one that of a trustee, the hire asset is being a trust property in his hands; he will manage, maintain the asset in favors of the interest of the Hirer at his own cost as the exact subject of the Hirer except in case of any accident due to any event entirely beyond control of the hirer and natural calamity/disaster (Acts of Allah) to be determined by the Bank after proper investigation within the knowledge of the Hirer. Hire purchase under Sirkatul Meelk transaction facilities the Client (Hirer) to get benefit from the hired asset in exchange of rental and also to become full owner of the asset by purchasing it part by part. This is a sale contract between a buyer and a seller under which the ownership of certain goods or asset is transferred by seller to the buyer against agreed upon price to be paid by the buyer. Hole preliminary discussion with the prospective client regarding his investment needs, business experience, viability of the project and Shariah permissibility of the asset the business and the uses of the asset. Look to the past performance of the Client, Check-up Head Office Current Investment Policy and Branch’s track record of previous investments. If the Proposal is found permissible under Islamic principles and suitable, advise the Client to submit formal Application. If not found suitable, regret politely. Request potential Client to open an Al-Wadeeah Current account. Let him maintain the Current account. Let him maintain the current Account satisfactorily for a reasonable period. (This will generally mean six month). Enter the Application in the “Investment Proposal Received and Disposal Register (B-53) and allot a Serial Number to it. Examine shariah permissibility of the goods. Reject the proposal outright, if not permitted by Islamic Shariah. Check-up Credit Restriction Schedule of Bangladesh Bank and Head Office Current Investment Policy Guidelines. Visit the Business establishment of the Client. Talk to the business and important personalities of the locality to ascertain the Honesty, Integrity and Business dealings of the Client. Request for confidential report of the client from local Bank Branches. Confident Report from Credit Information Bureau (CIB) of Bangladesh Bank through Head Office Investment Division as per Instruction Circular of Head Office in this Regard. Obtain Financial Statement/Balance Sheet of the Client for the last three consecutive years for Investment Proposals of Tk. 50.00 lac or above as per Head Office Instruction. Inspect Land, Building, other Assets and Properties proposed to be Mortgaged or Hypothecated. Forward Documents, Title Deeds and other relevant Papers to approve Lawyer of the Bank for examination and furnishing his opinion. Obtain Lawyer’s Opinion as per clause No. 8.02. Effective demand, price of the goods, short or long-term duration, quality and other specifications of the goods, availability, etc. of the said or projected goods. Where sale price of the goods is payable by the client at specified future date in lump sum or installments as per proposal. For Bai-Murabaha Commercial and Bai Murabaha Industrial Investment, prepare Appraisal Report on F-167B. For appraisal Bai-Murabaha agriculture and For Bai-Murabaha Import use special Appraisal Form devised for each of those, if any, otherwise F-167B providing the available/required supplementary information. In course of preparation of the appraisal report please ensure incorporation of all information of all information, particulars figures and statistics in Appraisal Form correctly with special attention to the following: Contact primarily with the producers/sellers/suppliers of the goods in the market, study the market price and work out the purchase and sale prices of the goods as per guidelines. At this stage, usually the bank analysis whether required documents are in order. In the documentation stage, Islami Bank Bangladesh Limited (IBBL) checks the following documents of the clients. Liability Statement for different parties. Three years net income business transaction. Performance report with the bank. Account Statement from of the bank. Outstanding liability position of the bank. Credit information bureau report (CIB). At this stage bank decides to pay out money. Here the clients get his/her desired fund or goods. It is to be noted that before disbursement a “site plan” showing the exact location of each mortgage property needs to be physically verified. At the final stage of investment processing of the Islami Bank Bangladesh Limited (IBBL), bank will contract with the client continually; for example-bank can obtain monthly stock report from the client in case of macro investment. Here the bank will keep his eye on over the investment taker .if needed bank will physically verify the clients operations. Also if bank feels anything is going wrong then it tries to recover its investment by some way. The Bank, since its inception, has been working for the uplift and emancipation of the underprivileged, downtrodden and neglected sections of the populace and has taken up various schemes for their well being. The objectives of these schemes are to raise the standard of living of low-income group, development of human resources and creation of avenues for self-employment. The objective of the scheme is to increase standard of filing and qualify of life of the fixed income group by extending them investment facilities to purchase household articles such as furniture like Almirah, sofa set, wardrobe; electric and electronic equipment like television, refrigerator, gas cooker; air conditioner, PC, washing machine; electric generator-IPS, UPS; motor cycle; corrugated iron sheet, cement, rod, wood etc, for construction of dwelling house; gold ornaments, tube-well, mobile telephone set etc; medical/ engineering instruments/equipment, computer, books etc for students. The Bank has introduced this scheme recently to ease the serious housing problem in the urban areas and to make arrangement for comfortable accommodation of the fixed income group. Permanent Officials of Government, Semi-Government and Autonomous Organizations; Teachers of the established Universities, University Colleges & Medical College: Graduate Engineers, Doctors and Established professionals; Bangladeshi Officials of reputed Multinational Companies, International Financial Organizations, Donor Agencies, Foreign Embassies etc. Officials of local established & reputed public Limited Companies; Wage Earner professionals like Doctors, Engineers, Accountants, Teachers and other profession doing good job abroad with hand-some pay-package shall be eligible to apply for availing investment facilities under the Scheme. Professionals, Service-holders, Businessmen, Real Estate Developer and other categories of people who are not entitled for availing investment facilities under Housing investment Scheme, shall be eligible under this program. Investment is to be extension/ completion of the house already constructed, commercial building, shopping complex, flat/ apartment etc. To ease the existing transportation problem and ensure speedy economic growth and development of the country particularly the expansion of trade, commerce and industry, the Bank has taken up this Scheme. Under this Scheme investment is being allowed to the existing successful businessmen and potential entrepreneurs in this sector for all types of road and water transport like bus, mini-bus, truck, launch, cargo-vessel, transport for rent-a-car service; and baby taxi, tempo, pick-up van for self-employment; and ambulance for clinic & hospital. The Bank is also extending investment facilities to multinational companies, established business houses and well to do officials and professionals for acquisition of private cars, microbus and jeeps. Car is considered as an essential mode of transport in the modern society, particularly by a section of the officials, business houses and business executives and established professionals for movement in discharging their duties and responsibilities punctually and efficiently. To meet this need, Islami Bank has introduced the “Car investment Scheme” for the mid and high ranking officials of government and semi-government organizations, corporations, executives and directors of big business houses and companies and also for persons of different professional groups on easy payment terms and conditions. The Bank has taken up this Scheme to help unemployed qualified doctors to go for self- employment and to provide latest medical equipments to specialist doctors to extend modern Medicare facilities throughout the country. This Scheme has been taken up for self-employment of educated unemployed youths of rural and urban areas and to provide investment to small businessmen and entrepreneurs. Investment is extended for about 200 economic activities in sectors as live-stock, fishery, agro-trading/shop-keeping, transportation, agricultural implements, forestry and service viz. laundry, signboard painting etc. In keeping with view of the people-oriented and welfare objectives of the Bank, this scheme has been introduced to provide power tillers, power pumps, shallow tube wells, thresher machines etc. on easy terms to unemployed rural youths for self-employment and to the farmers to help augment production in agricultural sector. Ijara is a form of leasing where a property is leased by the lessor to the lessee in a way that at the end of an agreed lease period, the lessees become the owner of the property by purchasing it from the lessor during or at the end of the lease period at an agreed sale price. A purchaser approaches a seller, provides the details of goods he wants to purchase from a seller & gives promise to the seller that he will purchase the goods from him at a price, which percentage of profit. Applying this mechanism, the bank purchases a plot of land as per clients’ specifications & their promise to purchase it from the bank on deferred basis. It is contract by a spot purchase of a non available commodity or equipment is affected. The manufacturer is committed to deliver the commodity or the equipment as per the agreed upon specifications, price & date. Spot payment is not required as the case with Salam sale. The agreed commodity upon manufacturing is delivered to the bank on a forward date along with payment of the price subject to the terms of a contract. After delivery, the bank sells the commodity in the market or to clients that have applied for the purchase previously. Istizrar is type of business permissible under Islamic Shariah. Under this mode, the buyer purchases the goods in different quantities time to time from a specific seller as per his requirement. Late of the total cost of the goods, taken by the buyer in different times is calculated at the market price. Shari’ah Council of IBBL in its 15th meeting (dated 08.07.2009) approved this mode of investment to introduce in IBBL. Jueala is a specific mechanism where the bank will make an agreement with the intending client, to accomplish a specific work. Bank will realize commission or service charge against the services rendered. Bank can also use this mechanism by providing financial services to the students for completion of higher study & those who intends to perform Holy Hajj & Umrah & the clients who intends to go abroad for job etc. It is mentionable here that, The Shari’ah council of IBBL include it as an agenda for studying examining the feasibilities & Shari’ah permissibility of the product. Tawarruk is special types of investment. It means buying a commodity with deferred payment & selling it to a person other than the seller for a lower price with immediate payment. The cash requirement of the clients can be met by practicing this mode. Bank receives deposit by different accounts. There are two types of accounts. Al-wadeeah Current Account: Current account is conducted under Al-wadeeah system. Mudaraba Saving Account: Under the Mudaraba mode, client are called Sahib Al-Mall and bank plays role as a Mudarib. AWCA accounts are unproductive in nature as far as banks loan able investment fund is concerned sufficient fund has to be kept in liquid form, as current deposits are demand liabilities. Thus huge portion of this fund becomes nonperforming. For this reason banks do not pay any of AWCA account holder. Business and companies are the main customers of this product. As per Bangladesh Bank instruction 90% of SA deposits are treated as time liability and 10% of it as demand liability . In IBBL there is a restriction on drawing money from SB account but anytime holder may draw money of any amount with prior notice, generally householder and individuals are the clients of this account. MSNA accounts can be treated as semi term deposit . Deposit should be kept in these accounts for at least seven days to get profit of MSNA accounts is less then SB accounts . As 5.6% generally profit, but may increase to 6% or more depending on the fund . Check book issued to them but frequent use of checkbook is discouraged. Government organization , big corporate house and banks are generally the clients of this account . The volume of this account is generally large and notice has to be given to draw money . Fixed deposit is of two kinds , one is midterm deposit (MTD) and another one is term deposit (TD) instrument. Whose maturity period is within one year are known as midterm deposit MTD and those above one year are considered as term deposit TD. Calculation of profit TDR and provisioning regarding this is quite complicated issue. Profit is calculation at each maturity date and provision is made on that . Also at the month and provision of profit is mode. Taka 10 or 50 = each for twice a year is debited from customers AWCA account for rendering service to him . Taka 50= each is debited from customers account for providing him solvency certificate . Sign of introducer is verified. After fulfilling the requirements for opening account, necessary entries are given in the account opening register. There are several registers for several accounts as MSA, AWCA and MTDR etc . Date of opening, name of the holder, nature of the business, address, initial deposit and introducer’s information are recorded in that register. New accounts number is given from the list of new numbers provided by the computer department. Check book is issued to the new customer after seven days of opening account. Two separate checkbooks are given for current and saving accounts. AWCA accounts check book consists 25 and 50 leafs, while MSA account checkbooks has 10 leafs. There has a check book issue register in this regard; where check book number, leaf number, date issue etc. information are kept on the register. All the necessary numbers are sent to the computer department to give entry in the program. For account closing, first a customer has to submit an application with his or her signature mentioning that he/she wants to close his/her account. Then the signature will be verified by the officer. Customer has to certify by different department of bank that he/she had no liability to the bank. After that the customer’s A/C is debited and then the bank issue a pay order in the name of account holder. Customer has to submit an application mentioning that he/she wants to transfer his/ her account to his/ her desired branch and the officer will verify the signature. Customer has to certify by different department of bank that he/ she has no liabilities to this branch of the bank. Then total particulars of the A/C holder will prepare and sent to the customer’s desired branch. Liability of reorganizer is secondary and account holder is primary. IBBL sells and purchase P.O., D.D. and T.T. to its customers only. IT dose not offer remittance service frequently to those other than its customer. Pay order is and instrument that is used to remit money within a city through banking channel the instruments are generally safe as most of them are crossed. Demand Draft is very much popular instrument for remitting money from one corners of a country another. The instrument is basically used for transfer and payment. Difference between pay order and demand draft is in terms of place. Only P.O. issued for remitting money within the city whereas D.D. is issued for within the country. D.D. too constitutes current liability on the part of a bank. At IBBL D.D. is not sold to people other than its customer. Telegraphic transfer is one of the faster means of transferring money from one branch to another or from one to another. The T.T. issuing bank instructs its counterpart by tested telex message regarding remittance of money. No instrument is given for T.T.unless both parties have account , as money is transferred. As far safety is concerned customers get crossed check for the transaction. As we known crossed check cannot be enchased for counter, rather it has through been collected through banking channel i.e. clearing. A client of IBBL received a check of another bank, which is located within the clearing rage, deposit the check in the account at IBBL. Now IBBL will he will not the money until the check is honored. When any branch sends the cheque of paltan branch to clearing house ( may be internal clearing house or Bd. Bank clearing house) for collection, then clearing house will provide debit advice (with cheque) to paltan branch. If paltan branch response to this advise, automatically local office is credited to paltan branch. Then, if cheque is honored, there is no problem. But if cheque is dishonored for any reason, then Paltan Branch, will provide debit advice to local office. If local office responses to this advice, then Romna Branch is credited to local office. So, ultimate effect is zero. If the cheque leaf is toned. If there is no date. If there is no similarity between the amount and word. Transfer delivery is a cheque collection procedure among internal branches within the clearing house. When a cheque of a branch office is deposited if the cheque is dishonored then authorized branch send the cheque to the local office and local office send the cheque to the collecting Branch on the collecting date. Suppose the Paltan Branch of IBBL has gotten the cheque of some clearing house. Then Paltan Branch will send debit advice to local office for collection. That means Paltan Branch do debit the local office branch and local office branch will debit Paltan Branch. When local office makes a payment in favor of Paltan Branch( assume), then Paltan Branch, will send credit advice to local office because local office is accounts payable to Paltan Branch. Outward bill collection when cheque is required to collect the bill outside the clearing zone, the OBC is used. Income ( service +Commission) Cr. S/D (Vat on pay order ) Cr. For T.T, D.D.& pay order, client account is necessary at branch. Financial Administration Division (FAD) : The transaction is occurred within same clearing house that is calculated at the en d of the year finally to find out the receivable and payable at FAD in favour of branch. Customers deposit check , drafts etc. for collection, attaching with their deposit sleep . Received seal on deposit slip. Endorsement given ‘’payees A/C” will be credited on realization. Entry on register, from where a controlling number is given. Collecting bank can collect it either by its branch of by the drawer’s bank. They will forward the bill then to that particular branch. OBC number will be given on the following letter. Now following procedures will take place in case of the following two cases. If the bill is forwarded to a branch, they will collect it through IBC procedure. Collecting branch will receive and I.B.C.A form that particular agent branch according treatment from the angle of collecting branch will be. Income A/C commission ; postage…… Cr. In this case commission will be charged by the collecting branch , not the agent branch. The instrument is sent to clearing for collection…………… Dr.
Miscellaneous creditor A/C OBC ……………………… Cr. Cash section demonstrates liquidity strength of a bank . it also sensitive as it deals with liquid money . Maximum concentration is given while wording on this section. As far as safety is concerned special precaution is also taken. Tense situation prevails if there is any imbalance in the case. Inward mail, other than those which are registered, marked confidential and addressed personally to same official , may be opened by authorized member of staff who should enter in the inward mail register and mention the serial number of the mail register on the letter / paper received , affix “received” date stamp on it and delivery the same to the concerned officials against acknowledgement. Letters addressed personally to any official shall be opened by the address only. Registered mails and mails marked confidential will be opened by an officer or management in small Branches. All these letters shall however enter in the inward mails registers. Stop payment instructions and court orders shall be received authorized officials who will immediately note date & time on it and take necessary steps. Outward dispatch letters must be serial number and entry in register with name and address. Each types will maintain a typist master file and dispatch clerk also maintain a separate master file for future record. Local letters may be delivered through peon book. If the area is large and letters are many then service are given through post office. Letter dispatched must be entered in the outward mail register and bear proper postal stamps , if sent through post office. If the letters are sent by registered post or courier service, postal/ courier receipt must be maintained by the dispatch department in a file. Similarly acknowledgements received back should be maintained in the file. Every organization is composed of some internal strengths and weaknesses and also has some external opportunities and threats in its whole life cycle. This branch is a financially sound company. This Branch utilizes state-of- the art technology to ensure consistent quality and operation. Paltan Branch provides its works force an excellent place to work. It has already achieved a good relation with their clients. This Branch is a AD Branch. This Branch faces shortage of efficient manpower almost in every department. The procedure of credit facility is to long compare to other banks. Employees are not motivated in some areas. Work load on the employees are too heavy for them to provide proper answer to request of clients which sometimes develop client dissatisfaction. Emergence of E-banking will open more scope for the Paltan Branch. IBBL can introduce more innovative and modern customer service. Many branches can be opened in remote location. This Branch can recruit experiences, efficient and knowledgeable work force as it offers good working environment. As many new foreign and local commercial bank are entering into the market, this will open the door for creating improved customer sevices by IBBL. The worldwide trend of mergers and acquisition in financial institutions is causing problem. Frequent taka devaluation and foreign exchange rate fluctuation is causing problem. Lots of new banks are coming in the scenario with new service. Local competitors can capture huge market share by offering similar products. New banks will hire talented young and experience officers with higher remuneration, for the IBBL could lose its present skilled manpower(Many executives, officers etc). On the basis of previous analysis and practical experiences of two months internship program, the following findings are observed during the research period. Islmi Bank does not tolerate any illegal activities. IBBL takes carefully Investment decisions. They do not take any bribe. They do not follow any nepotism in investment. Lack of Islamic education of our country. Investment activity is not comfortable. IBBL use Arabic word for mention investment mode, which confused clients. Not sufficient technology according to demand. Lack of appropriate non-interest govt. financial instrument. Employees are very friendly about customer service in IBBL. Customers are satisfied about the cleanliness of the branch. Customers are satisfied with the different types of services are available of IBBL. Customers are satisfied about the accessibility of the facility of IBBL. Most of the customers are satisfied about the quality and quick service of IBBL. Most of the customers are frequently come to take facility. Islami bank Bangladesh limited is a bank which operates its activities according to Quaran and Sunnah. It’s banking activities are based on pjrofit/ loss sharing. It does not create any illegal pressure of client. The strength of Islami Bank Bangladesh limited is employees of Islamic Bank Bangladesh Ltd. Are honest because they strongly believe in Islamic rules and regulations. They do not take any types of bribe from client. So believes of people are increasing on the activities of Islamic Bank Bangladesh limited. Many people of Bangladesh are involving with IBBL for doing their daily financial activities. It has a bright future because it has got huge customers then other conventional banks in Bangladesh that are based on profit. Ialami Bank is a financial institution whose atatutes, rules and procedures expressly state its commitment to the principles of Islamic Shariah and to the banning of the receipt and payment of interest on an of its operations. The perception of Islamic banking has been bloomed from the inspiration of building up a society on justice in accordance with basic socio-economic principles of Islam. The difference between Islamic bank and conventional bank is on principles. The functions of this type of bank are completely different. This bank is established on Islamic Shariah and all types of transactions are free from interest. Justified profit is the basis financial transaction of this bank. This bank is committed of establish socio-economic justice. After all, although it is facing some problem, it has a bright future and day-by-day it is enhancing it’s financial activities over the country. Many organizations are following to IBBL and they are starting their business baaed in Islamic Shariah in our economy. It is not unexpected to have many problems in any organization. It is observed that some of the problems of General Banking section of IBBL. To solve these problems, I can suggest following recommendations. In case of transferring of accounts from this branch to another branch, a proper step should be followed, otherwise customers might be dissatisfied. Customer information desk must be equipped with adequate employees and resources so that any query of customer unreturned. IBBL should increase their salary structure to appointed manpower so that they can provide better customer services to clients. In a modern banking era, Each and every commercial bank has to utilize technological innovations properly. IBBL, Paltan branch lags behind in this case. So, It is badly needed to utilize modern technologies to keep pace with the modern tome for this branch. Employee must be provided with more training which will ensure the competent workforce. This Branch should arrange a wide varieties of regular programs like Islamic Jalsa, Oaaz mahfil, Seminer and Mosque-Based Dicussion etc. about Islamic Banking activities over the country to remove the negative impression about IBBL. Inclusion of more subjects based of the Quran and Sunnah in the Training courses of the Islami Bank Training & Research Academy in order to develop human resourcesIn the context of Bangladesh, considering the necessity Banking system, the Government should establish Mudaraba company/Bank.